Two years after the opening of the Gotthard Base Tunnel in 2016 the number of trucks passing through the Swiss Alpine structure should have been less than 650 thousand per year. This was the ambition of the Swiss government, but the goal was not achieved. Nevertheless, the Swiss modal shift can be considered a success. 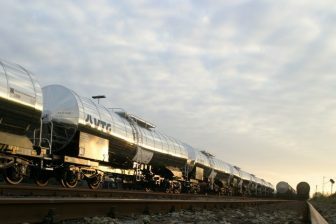 Bringing more freight volumes onto the rails, off the road in a sustainable way. 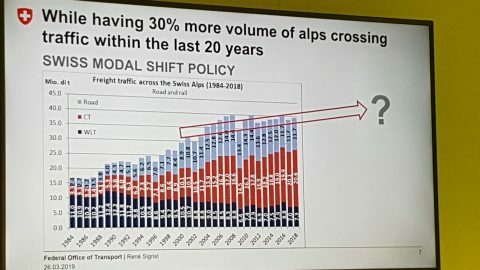 This is the aim of the modal shift policy of Switzerland. “We need to protect the Alps”, Sigrist said. The mountain range forms an integral part of the freight corridor connecting the port of Rotterdam with the south of Italy. This corridor is not coincidentally called the Rhine Alpine Corridor. But, the modal shift policy was also a response to a growing number of trucks on the road, which was causing congestion. 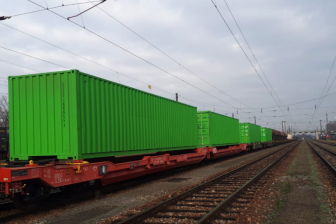 More freight on rails is important for the entire European continent and Switzerland surely depends on the effort of neighbouring countries, Sigrit admitted. But the country takes a leading role. The modal shift policy has been in place since 2000, when the country signed a bilateral agreement with the EU. In order to limit trucking through the Alps, Switzerland asked for a heavy-vehicle fee (HVF) on the corridor. In return, the country promised to build the New Railway link through the Alps (NEAT). The railway link was considered complete with the opening of the Lötschberg Base Tunnel in 2008, while the fee was implemented between 2001-2004. “This fee is used for the renewal and maintenance of railways.” The modal shift was further encouraged with the opening of the Gotthard Base Tunnel in 2016. Next year the Ceneri Base Tunnel will be opened for traffic, clearing the entire north-south axis for 4-metre height trains. “This will become visible in the timetable of 2021”, said Sigrit. Apart from the expansion plan, Switzerland has a clear policy on capacity allocation for freight. It is called the Network Utilisation Concept, explained the transport expert during the conference. “Allocation is based on the use of the network in a standard hour, setting dedicated capacities for passengers and freight in the yearly timetable. This allocation ratio is set for the next six years”, said Sigrit. The 2019 timetable was the first to be designed based on this methodology. 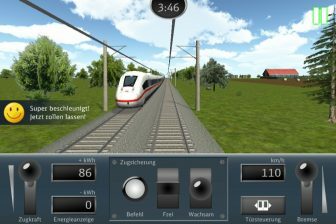 For example, in the Gotthard Tunnel it allows for six freight trains per hour. The actual capacity is higher, but this is the minimum capacity that should be available. 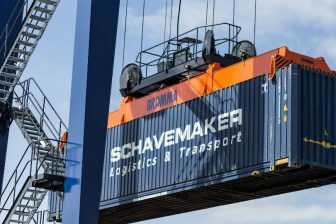 “It is not easy to compete with the very popular passenger traffic in Switzerland, but at the same time, we want to guarantee sufficient capacity for freight. In this manner, we are assured of this capacity”, he explained. Do you want to see which other workshops you can follow at the Freight & Terminal Forum? Check out the workshop programme.